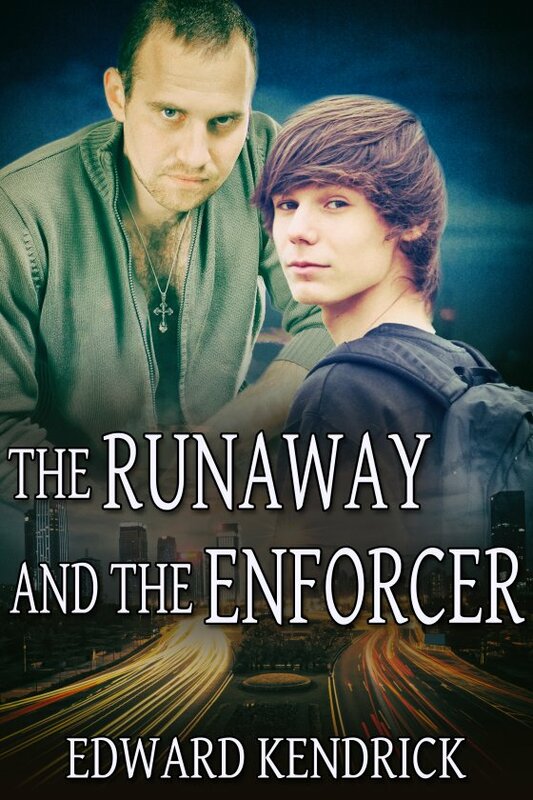 The Runaway and the Enforcer by Edward Kendrick is now available! Beau, thirty-five, is a gangland enforcer who has gone into hiding rather than following the orders of his boss, Mercer, to harm a rival’s kid. Now, all Beau wants to do is eliminate Mercer before getting out of town. When Rick, an eighteen-year-old denizen of the streets, witnesses Beau killing one of Mercer’s men who has found him, Beau takes Rick under his wing instead of killing him, as well. He offers Rick a place to stay while he figures out how to put his plan to take Mercer out into action — without ending up dead himself. Befriending Rick is an act Beau may come to regret. Rick convinces Beau to take him along when he leaves town — thus working his way into Beau’s dangerous life on the run — and perhaps, into his heart, if Beau can come to grips with the fact that Rick is half his age.